At least, if you’re traveling shorter distances. Of course, if you compare it to flying, the actual flight might be shorter, but getting to the airport, arriving early, getting away from the airport into the city is a much bigger hassle. For example, I’ll arrive at St. Pancras today and don’t have to spend money and 1-2 hours to get from Stansted to the city. So good! With train travel, you can take as much stuff as you want to (and as you’re able to carry). There’s no regulations, no forbidden goods, no need for tiny shampoo bottles – if you can carry your suitcase, you can take it (and don’t have to worry about the weight of your souvenirs). In my opinion, the atmosphere on the train is just perfect to get some work done. Just get a seat with a table and write down your thoughts, plan exciting projects – something about the train travel makes working real fun in my opinion and I always get really inspired. What about you? 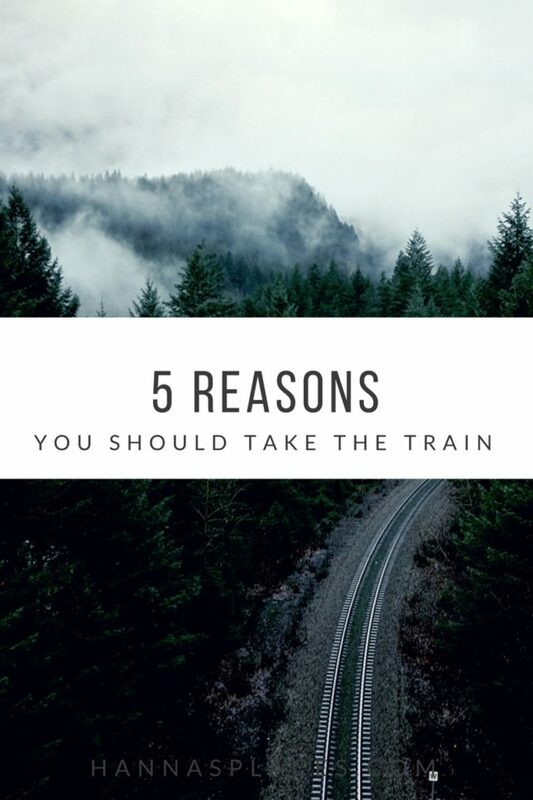 Have you ever traveled long distance by train? What’s your favourite mode of transportation on holiday?